Aquarela takes audiences on a deeply cinematic journey through the transformative beauty and raw power of water. Filmed at 96 frames per second, the film is a visceral wake-up call that humans are no match for the sheer force and capricious will of Earth’s most precious element. From the precarious frozen waters of Russia’s Lake Baikal to Miami in the throes of Hurricane Irma to Venezuela’s mighty Angel Falls, water is Aquarela’s main character, with director Victor Kossakovsky capturing her many personalities in startling visual detail. 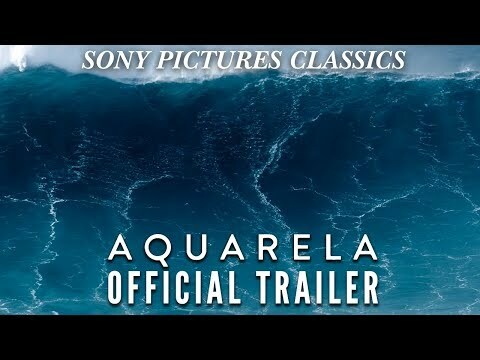 The upcoming Aquarela Cinema release date is August 16, 2019 in the US. Notify me when Aquarela is available.